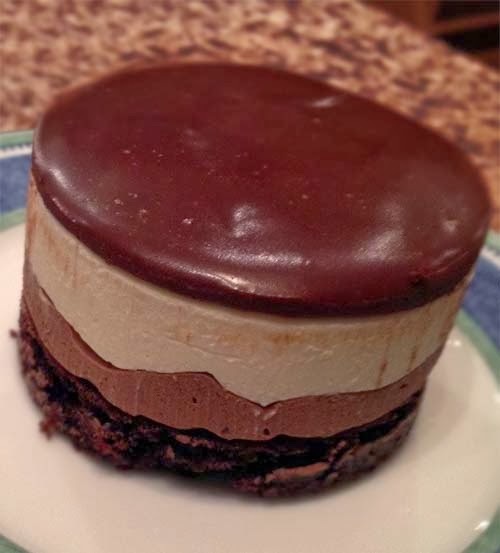 The recipe for this tasty chocolate mousse cake is from Pastry Pal. The instructions have been followed thoroughly and the result is fantastic. For another chocolate-topped dessert, try espresso brownies.